It can be said that behind every great film is a great composer. In general, music has always played a significant part in every society and culture. 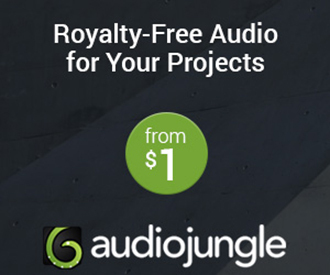 It has the ability to evoke a full range of emotions within a listener, give you goosebumps, and can turn a bad day into a good day. 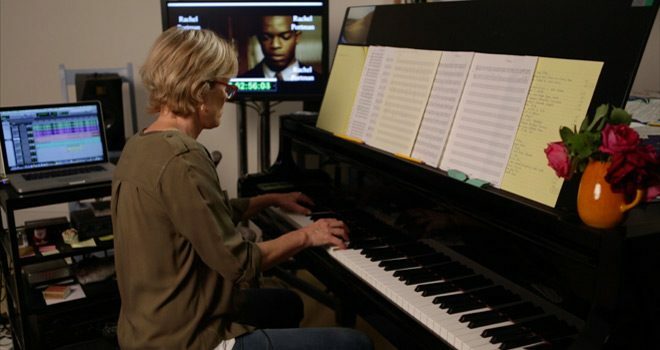 Evolving into an integral part of the storytelling process, most particularly in film, musical documentary Score: A Film Music Documentary delves into the lives of Hollywood’s most famous composers, including their challenges and creativity. Released via Gravitas Ventures, the compelling new film hit theaters on June 16, 2017. 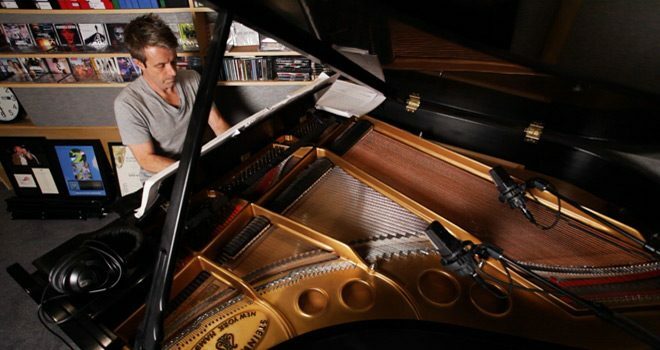 Written, directed, and produced by Matt Schrader, his debut documentary is a successful, original masterpiece taking a look where no one has before – film scores. 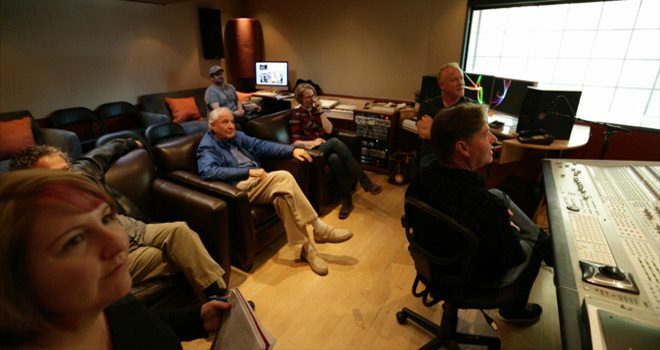 Even by themselves, film scores can bring back movie memories and become iconic. They have also had their own evolutionary process alongside movies through the years. Historically, it all began in silence, where in early films someone played a piano in the actual theatre, to brass bands, orchestras, synthesisers, using current popular music, an old kids toy piano to a combination of all. 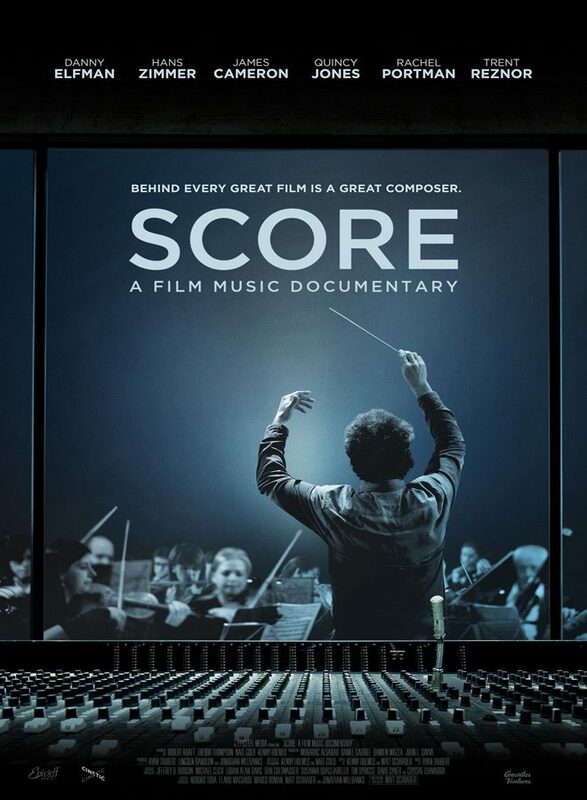 Score: A Film Music Documentary outlines the enormous amount of work involved in the score-making process. All matters considered, it is evident the most difficult part of the process is perhaps the composer having to extract the writer/director’s vision from their mind and translating it into music. Each piece of the score must not just complement a scene, it must enhance it. 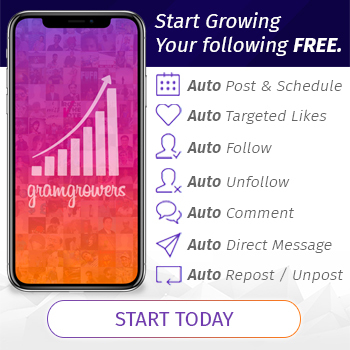 This is part of the process of building or lowering tension in a Romance, Action, or Horror flick, thus making the viewer feel more involved in the story. When you think about it, who cannot recognize some of the most famous and iconic film scores without remembering exact scenes in films? Prime examples, 1963’s The Pink Panther, 1976’s Rocky, 1977’s Close Encounters of the Third Kind, 1977’s Star Wars, and all the James Bond films, just to name a few. Score: A Film Music Documentary includes interviews and the perspectives of well-known directors such as James Cameron (Titanic 1997, Avatar 2009), Steven Spielberg (E.T. the Extra-Terrestrial 1982, Saving Private Ryan 1998), and Garry Marshall (Happy Days series, Mork & Mindy series). Additionally, it includes a host of successful ingenious composers such Hans Zimmer (Pirates of the Caribbean 2003, Inception 2010), Danny Elfman (Batman 1989, The Nightmare Before Christmas 1993), Trent Reznor (The Social Network 2010, The Girl with the Dragon Tattoo 2011), Quincy Jones (The Italian Job 1969, The Color Purple 1985), Moby (Jason Bourne franchise). It also includes archive footage of composers such as John Williams (Star Wars franchise, Indiana Jones franchise), Jerry Goldsmith (Alien 1979, Star Trek: The Next Generation series), James Horner (Titanic 1997, Avatar 2009), and many others who have heavily influenced musical scores throughout the generations. With all of this, viewers can take a peek inside the creative genius of these great artists with each of their own unique processes providing an insight into an often forgotten but integral part of movie-making. Schrader’s insightful Documentary is complemented by Ryan Taubert’s (Out of the Furnace 2013, Earth to Echo 2014) clever music compilation, with excellent cinematography by experienced Nate Gold (Manson Family Vacation 2015, Let Us Play 2016), with Kenny Holmes (debut film) under Gold’s supervision. Overall, Score: A Film Music Documentary is a fun, interesting, and groundbreaking documentary. The way it is put together pulls the viewer into a completely different side of the music industry, intertwined with film nostalgia and history. All this said, it is a must watch for all documentary and soundtrack fans, but likewise for all others looking to learn more about the film industry. 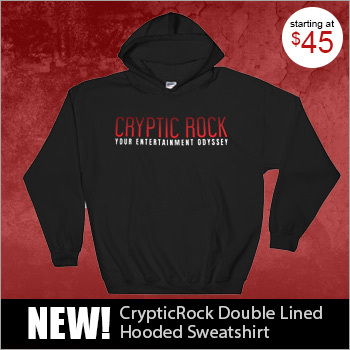 CrypticRock gives Score: A Film Music Documentary 5 out of 5 stars.